Arsenal returned to Premier League action at Emirates Stadium on Tuesday night against Cardiff City. Fans paid tribute to the Argentine striker Emiliano Sala and pilot David Ibbotson ahead of this game and wreaths of flowers were laid in the centre circle ahead of kick-off to honour the missing men. The game started well for Arsenal with plenty of possession and skipper Mesut Ozil getting on the ball in dangerous areas. Alex Lacazette had come close to scoring right at the start when he got on the end of a cross at the back post, but his shot was saved. Shkodran Mustafi almost broke the deadlock with a header from Lucas Torreira’s dangerous free-kick but he failed to hit the target. Cardiff then started to grow into game. Bobby Reid saw a shot from the edge of the box go just wide of Berndt Leno’s left post, and minutes later he headed a cross over the bar. 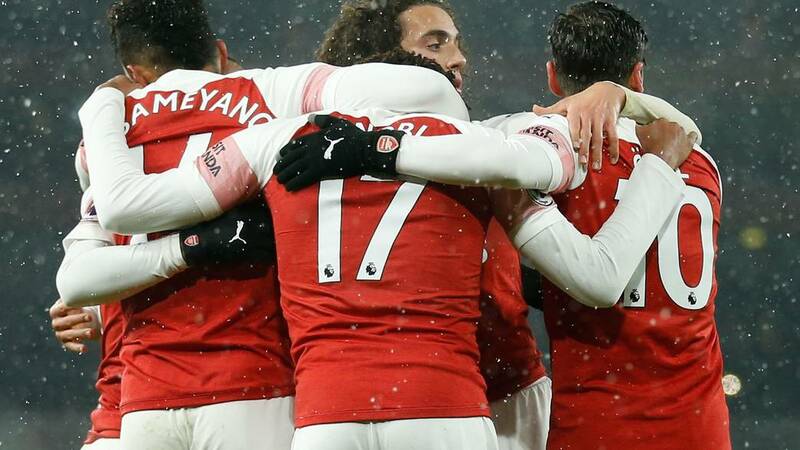 With the match all square at half-time, it was clear that Arsenal would need an improved second half performance if they were to overcome a resolute Cardiff side who were giving as good as they got. The second half saw the introduction of Alex Iwobi and the change did the trick. After receiving from Ozil he played a beautiful through ball into the box for Sead Kolasinac to run onto. The full-back was brought down and Pierre-Emerick Aubameyang converted the resulting penalty to take his tally to 18 goals for the season. Iwobi almost doubled the lead after driving into the area and shooting from an acute angle. But Lacazette put any nerves at ease in the 83rd minute with strong run and powerful shot to make it 2-0. Mendez-Liang scored an injury-time consolation goal for the visitors, but Arsenal ran out 2-1 winners, an important three points. Arsenal now focus on Sunday’s Premier League match away against Manchester City.